Need a birthday gift? Name a star! Feel good knowing you’ve given the most original birthday gift in the universe! Thanks for this wonderful birthday gift! I got this birthday gift from my friend Baz. In this way I want to thank him for this lovely gesture. I can honestly not think of a nicer birthday gift! I love to give my father something unique on his birthday every year. When my husband told me about OSR website, honestly I was a bit skeptical about it. Naming a star after someone! But, when I ordered this unusual birthday gift for my Dad, he was so happy and touched. Never again will I doubt my husband. Thank you so much OSR for the birthday star gift. A gorgeous gift! Just need to say Thank You! Just need to say thank you for your superb gift. This is the second time I ordered this personalized birthday gift from your site and I am absolutely amazed by your quick delivery. The birthday star gift given to my boyfriend has made his day and also mine. Keep bringing smiles to people’s lives! Awesome Birthday Gift for me! Thank you for the most awesome birthday gift. A birthday is always remembered and Nick my husband surprised me this year with the wonderful birthday star gift. OSR, you deserve a star for turning my birthday into a very special occasion. Wow, I just got the coolest birthday gift! Right away I went and ordered a birthday star for a girlfriend of mine as well. This is just the most amazing and symbolic gift, so I want to tell everyone about it! The birthday gift has just arrived and thank u so much for taking my problem into consideration. The receiver of the pack is so much happy that they are thanking u for sending it. I received my gift pack in few days. The content is what they described on the web site, and it’s very nice! The communication with OSR was fantastic. The support was very kind and fast to reply. I really recommend OSR if you want to give a special and original gift to your friends! A huge smile on my face! I copy-pasted the tracking code for our star on the app and it looks marvelous ^^ It put a huge smile on my face. I’m sure my husband will love it too. Thank you my gift pack has arrived! I love it! So beautiful! My friend is going to be so happy! Thanks you so much on the present. My best friend loved it so much she was moved to tears and it came in good time the second time you sent! I appreciate all the help you provided me and recommend your company 10/10. Finding the right birthday gift for a friend, family member, or co-worker can be a real nightmare. 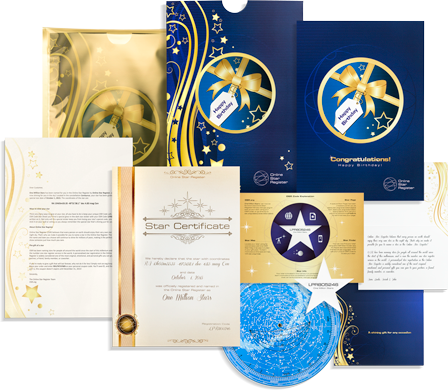 Instead of purchasing a mass-produced gift at the department store, give a gift they will never forget by naming a star with the Online Star Register. A birthday is a great time to celebrate the life and experiences of someone you care about. 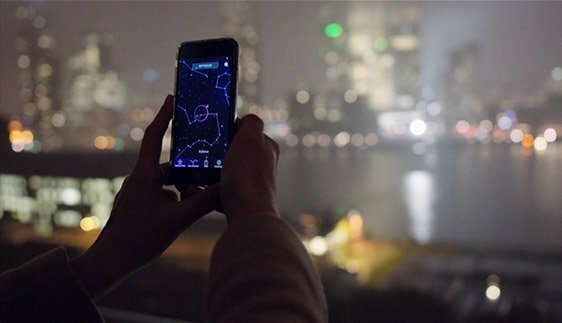 Commemorate their birth by immortalizing their legacy in the night sky. 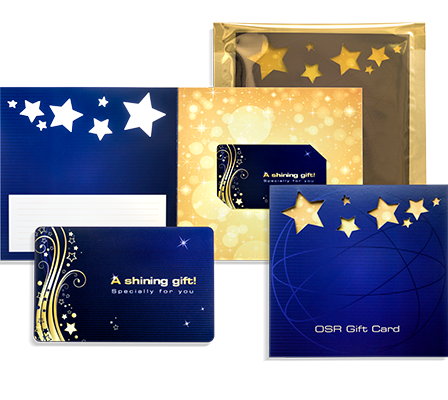 Not only is the gift completely personalized and enhanced with birthday gift wrapping, but you can even choose from one of three unique Online Star Register gift options. 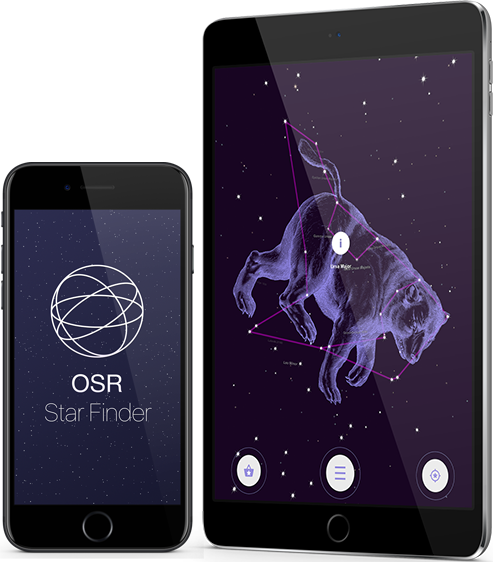 Every gift comes with the ability to locate the new star in the night sky with the breathtaking One Million Stars project and with the OSR Star Finder App. 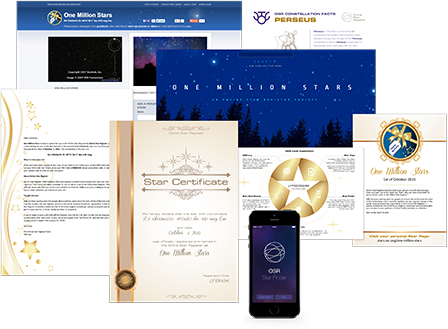 You never have to worry about losing the star in the night sky because as we dream up new ways to locate the star, we will include them with the original gift pack for FREE.